In 2009, Victoria became the first state in Australia to introduce smart meters. In time, all states will be involved through the National Smart Meter Rollout, though they are being installed in other states if you have a grid connected solar system. 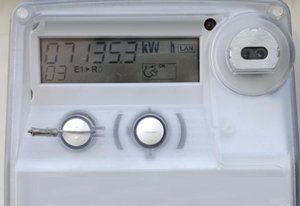 Smart meters enable the utility companies to measure and record remotely how much electricity you use at different times of the day and week. As such they will be able to charge different rates for different times of the day, week and year. In order to be able to read your meter remotely, a pulsed radiofrequency is emitted (some say up to 6 times however my readings indicate the equivalent of an SMS is emitted every minute) using mobile phone technology in the range of 915 to 928MHz. The Smart Meter will communicate with a new generation of appliances referred to as Smart Appliances which will enable the power company to operate your appliances remotely. Putting aside the privacy violation and fire hazard risks that this entails, from an adverse health effect this means that your exposure to this type of electromagnetic energy will increase significantly as these appliances are rolled out. Consequently an increasing number of countries including the Netherlands have not made smart meters compulsory. Australia (ARPANSA) has adopted the outdated ICNIRP Radiofrequency guidelines written in 1998, which only considers the health effects arising from short term thermal exposure. These guidelines DO NOT consider biological effects arising from non thermal effects despite the concerns raised by the Council of Europe (recomended a ban for Wi-Fi in schools), the World Health Organisation (which classified this frequency as ‘possibly carcinogenic to humans’) or by progressive governments and medical organisations around the globe. When you consider that countries like China and Russia have exposure standards that are 100 times lower than what is permitted in Australia you start to get a gist of the gravity of the problem in this country. This is not good for our most vulnerable – our children, pregnant women, the elderly, the immunocompromised or the electrically sensitive. In addition the nature of these radiofrequencies is that they reflect off surfaces like metal and go through bricks and glass, so the building construction and furnishings in your home may create hotspots of radiation that are impossible to determine without a high frequency meter. 8 reasons why they should NOT be compulsory! Waiting for high levels of scientific and clinical proof before taking action on electromagnetic fields… can lead to very high health and economic costs, as was the case with asbestos, leaded petrol and tobacco (Council of Europe, 2011). Expose your family to harmful radiation – the World Health Organisation has classified this type of radiation as possibly carcinogenic to humans (IARC, 2011). For a discussion on the health effects of smart meters, read Dr Ronald’s Powells article. Endanger species – there is mounting evidence that this type of radiation may adversely affect bees, bats, birds and plants, the impact of which will have a devastating impact on farming communities and ultimately our food source (Warnke, 2008) . Violate your privacy – apart from enabling utility companies to control YOUR appliances remotely, the system is much easier to hack in to and sabotage with jamming devices. This was evidenced in 2009, when the contact details of 179,000 Toronto Hydro customers were taken. Significantly increase your energy bill – despite reassurances from the utility companies and governments that your bill will decrease, the reality is that consumers have found a significant increase (doubling or even tripling) in their energy bills if they continue using electricity at peak period times. Renowned for billing errors – In 2009 a class action lawsuit was filed against the utility company Pacific Gas & Electric for installing thousands of faulty smart meters resulting in skyrocketing energy bills. In 2011, Californian residents filed a lawsuit against General Electric and Landis+Gyr – the manufacturer’s of smart meters for incorrect billing errors in 1,600 defective meters (Edwards v. General Electric.Co, 2011). General Electric are the primary manufacturer of smart meters in Australia. Cause job losses – good bye meter readers. Automation generally equates to less employees; after all its all about higher dividends for shareholders! Increased fire risk – this technology may interfere with appliances as they can be turned on remotely. In New Zealand, 422 fires involved smart meters in 2010 (Clark, 2010). In addition, Victoria’s energy regulator has conceded smart meter contractors might lack required skills and is reviewing the qualifications of workers rolling out scheme (Fyfe, 2011). Economic viability – the cost of the ‘advanced metering infrastructure’ required to upgrade high tension lines, meters, substations, central control facilities is in the billions… Consequently, the European Parliament has strongly encouraged member states to study the economic feasibility of smart grids before they implement them. Radiofrequencies disrupt magnetite in a bee’s abdomen which leads to increased swarming typically seen just before bees abandon their nest. The Stop Smart Meter website provides useful and up to date information on the concerns associated with smart meters including what actions to take to stop one being installed. For more information, click here. The smart meter is only one of several devices (wireless router, DECT cordless phones, mobile phones…) that use wireless technology in your home. Here are some tips to reducing your exposure. Electromagnetic testing should encompass electric and magnetic field exposures derived from the 50Hz frequency as well as radiowaves used in telecommunications. Your consultant should have a nationally (government) accredited qualification to ensure they are competent to conduct electromagnetic field testing. Be wary of consultants who conduct testing that have no formal qualifications and have a conflict of interest to sell thousands of dollars in shielding materials – the majority of which is not justified to address the issues. For details, click here. Edwards v. General Elec. Co., No. C 10-02431 SI, 2011 WL 479991 (N.D. Cal. Feb. 07, 2011).